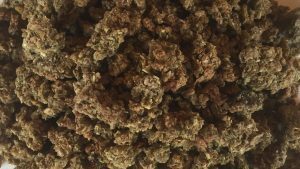 Delicious Cookie Crumblers are designed to hide medications and supplements. 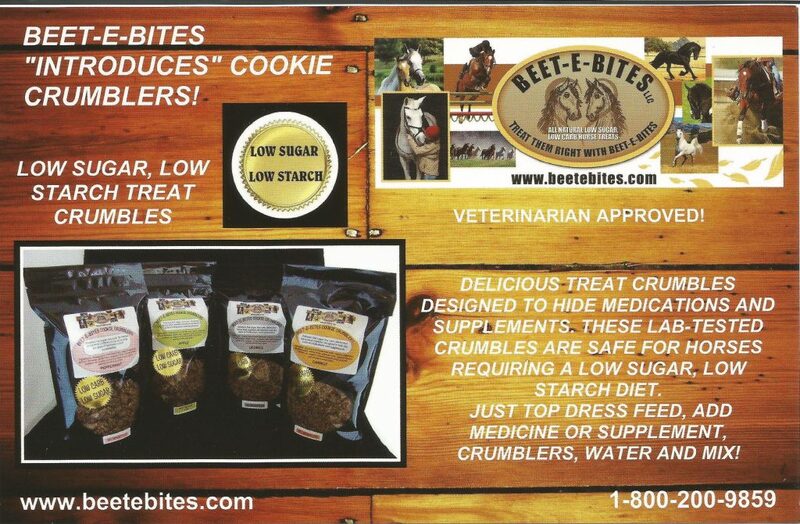 These lab-tested Crumblers are safe for horses requiring a low sugar, low starch diet. Cookie Crumblers come in four delicious flavors: licorice, apple, carrot, and peppermint. Sold in 12 oz. bag. Beet Pulp – referred to as a “super fiber” due to its high digestibility and ease of fermentation. Average protein content is 10%. We use NON-GMO beet pulp. Stabilized Flaxseed – rich in Omega 3 fatty acids, beneficial for a variety of inflammatory conditions, skin problems and allergies. Stabilized flaxseed is used so the Omega 3 fatty acids are not damaged in processing. Omega-3 fatty acids are essential fatty acids, meaning the body does not produce them. Therefore they must be consumed in the diet. Soybean hulls – Average protein 13.9% sugar 2.9% and starch 1.4% High in fiber, we use the hull only and not the soybean or meal. Alfalfa meal – highly digestible source of protein, naturally low in sugar. 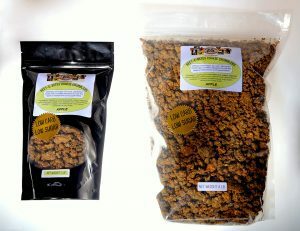 The alfalfa meal is from certified pesticide free, tested alfalfa pellets that we grind. No fillers or molasses in the pellets. Cold-Pressed Soybean oil – contains natural anti-oxidants including vitamin E. A small amount of oil is used, just enough to mix the flavorings with, and provide better dough. Non-GMO beet pulp (soaked & rinsed), stabilized organic ground flaxseed, soybean hulls, organic alfalfa meal, cold-pressed soybean oil, peppermint, licorice, or apple oil, cinnamon (apple only), water, organic carrot (carrot flavor only).